It seems that it’s been a while since we updated things on here – well, in truth, it has been a busy year. Now that the summer is coming to an end I thought I would drag myself away from the grindstone and put some effort into these updates. Here are is a selection of some of our recent work. 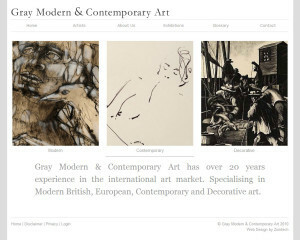 Gray Modern & Contemporary Art holds an impressive and constantly changing stock of work, sourced from international art auctions, galleries and private collections. With an extensive knowledge of international art sales and galleries, they offer a discreet and personal approach to new and established collectors, assisting them in sourcing and purchasing new works of art that will build and enhance any collection. The site design makes use of a very understated style in order to emphasize the art itself. St Mary’s school is situated in the centre of Bradford Abbas, Dorset, a thriving village community around St Mary’s Church, the Village Post Office & Shop, the Rose & Crown Pub, the Village Hall and the Sports & Social Club. St Mary’s has currently just over 100 pupils on the school roll. 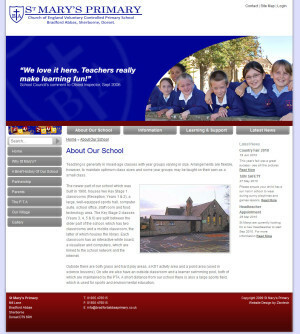 This CMS website makes use of our very popular SCRIBE content management system. 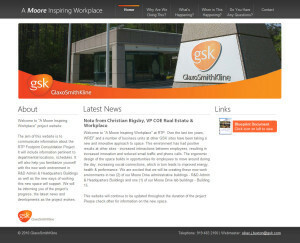 Ziontech was asked to design and build this site for GSK’s internal use. This GSK project was about being smart with assets – both real estate & talent. They were consolidating GSK’s RTP operations onto the Moore Drive Campus, eliminating under-occupied office & lab space spread throughout four RTP campuses. This internal web site is being used to keep GSK personnel updated on the project. AOK Events have launched a series of micro-sites designed at focusing their marketing efforts. 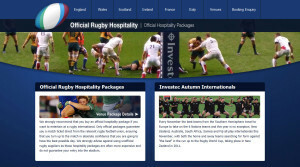 This site is the latest in the series and is aimed at the Investec Autumn Internationals and the RBS Six Nations matches.